Patients are the driving force and inspiration behind our research activities, our multidisciplinary events, educational programmes, and the reason why specialists in the various fields related to esophageal diseases are constantly go above and beyond the edge of science to revise existing therapies and find new treatment options. ISDE aims at disseminating knowledge to cancer patients, their caregivers, advocacy groups and the public and at providing a wide spectrum of information about diseases related to the esophageal. Further initiatives and works to build strong and effective partnerships with patient groups are planned as ISDE strives to continually provide patients with useful information and updates and provide links to respective patient organizations. 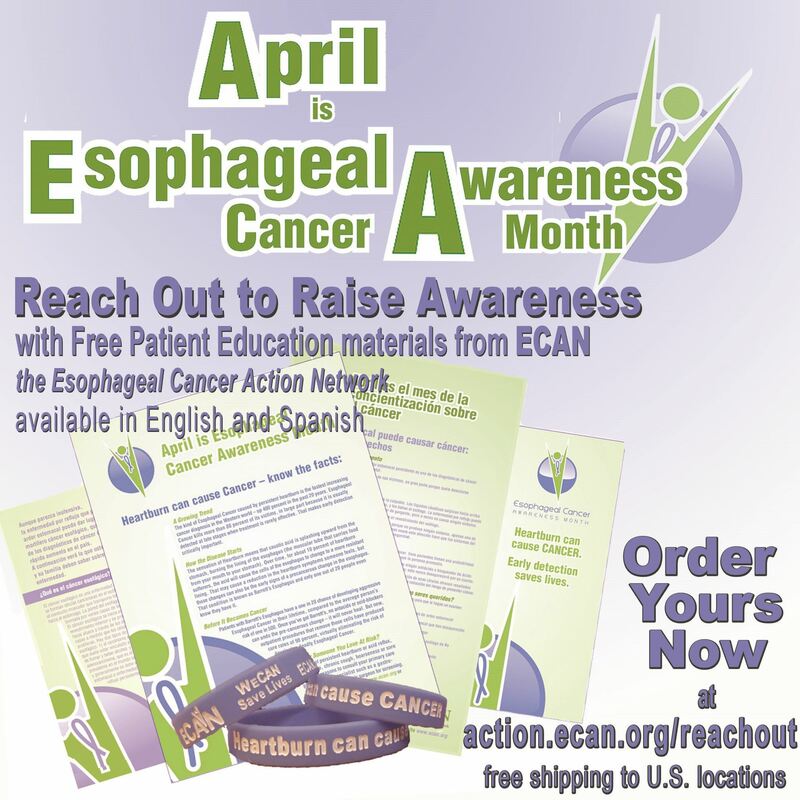 The Esophageal Cancer Action Network (ECAN.org) was established in 2009 to save lives by increasing awareness about the link between heartburn and cancer, promoting early detection, supporting medical innovation to prevent, detect, treat and cure esophageal cancer and link patients and families to compassionate support.